“Unable to Locate Windows License Key” is the PUP that uses misleading techniques to prevent removal. Use Reimage to locate malicious components and get rid of them faster than with uninstall instructions. A full system scan blocks virus reappearance and prevents traffic to malicious domains. “Unable to Locate Windows License Key” virus appears as a fake system information tab notifying the users about the possible malware infections. Targeted victims are provided with 1-800-861-420 Windows Help Desk number and urged to call for help. However, people waiting for your call are simply tech support scammers seeking to swindle money from you. If you have encountered a redirect to the malicious website that caused this fake error message to pop-up, we encourage you to remove “Unable to Locate Windows License Key” malware immediately. Even though the virus is designed to have a genuine look, we want to assure you that your computer system is not infected. 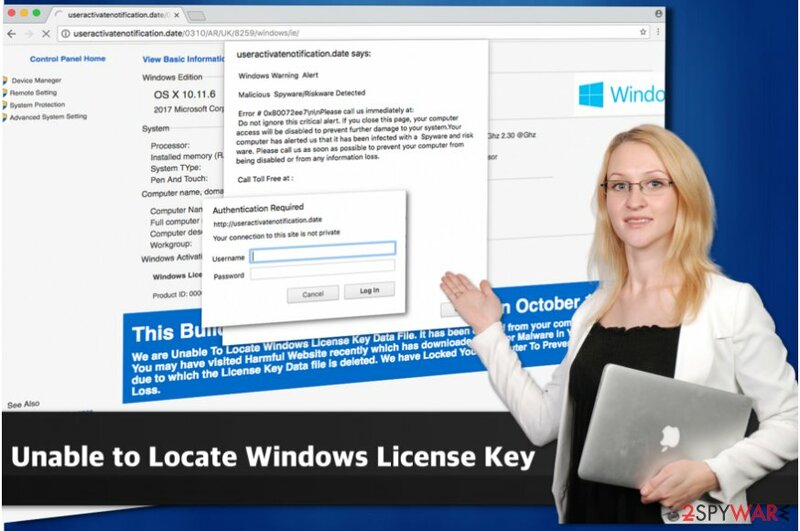 “Unable to Locate Windows License Key” is a complete scam and used to swindle money from naive computer users. Once the users contact via the provided telephone number, cybercriminals often ask to access their computer system remotely or pay high fees in order to fix the problem. 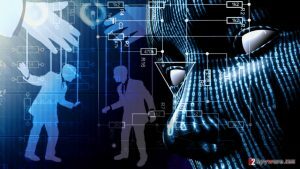 If the user installs tools to give access to his/her computer, scammers may secretly infect the system with even more high-risk malware and request to purchase expensive security software or pay more money to remove them. We want to warn you not to trust this fake alert nor call the fraudsters via provided contact number. Instead, download a security program such as Reimage and scan your computer system. It will quickly detect and remove “Unable to Locate Windows License Key” virus. 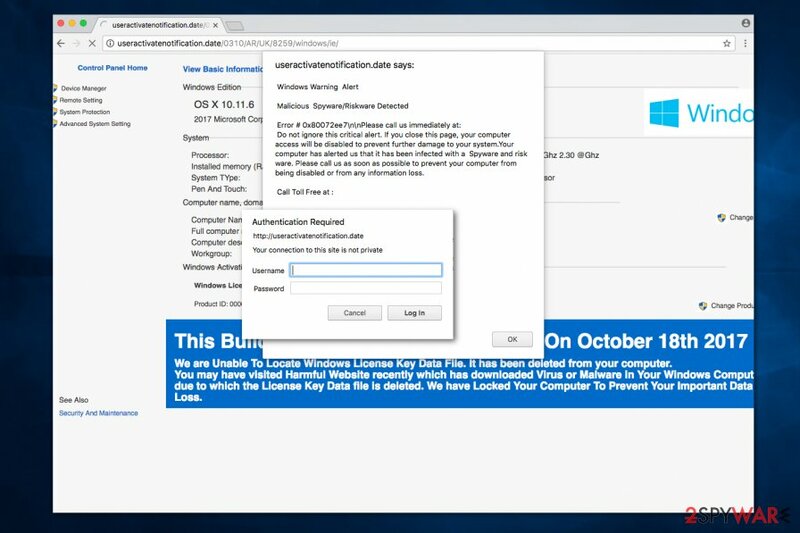 "Unable to Locate Windows License Key" warnings are generated by a malicious program that fraudsters manage to plant on vulnerable computer systems. 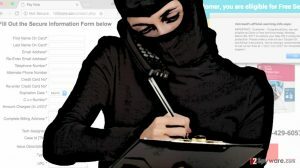 The deceptive message urges victims to call tech support scammers. Potentially unwanted programs (PUPs) usually “sneak” into your computer while you download another regular app and cause malicious redirects to such rogue alerts. You should never skip steps during download/installation process since malicious programs hide among “optional components” of the regular software. Always opt for Custom/Advances settings while installing apps. This way you will be able to protect your personal data and ensure computer’s security. If you ever get redirected to such websites, immediately leave them and avoid clicking on ads that they promote. The developers make considerable investments to make their advertisements appealing and attract naive computer users. You should not let it deceive you by its authentic look. In addition, Zondervirus.nl teams reminds that you should keep your system up-to-date at all times. Hackers use system vulnerabilities when developing viruses and you can become one of their victims. Updates are designed to fix the security flaws in software and maintain your security. If you are already infected with “Unable to Locate Windows License Key” virus, do not call the provided number and do not pay any fees for the scammers. Trusting cybercriminals is not a wise decision. Instead, remove “Unable to Locate Windows License Key” virus using a reliable security software. This way your computer will be protected from possible remote malware installations and financial threads that might arise. We recommend automatic “Unable to Locate Windows License Key” removal because it is the safest way to eliminate all infected files and avoid doing even more harm. If you opt to remove the adware manually, our team has prepared an informative guide provided below. Try to locate the program that is causing these deceptive alerts appear manually. The given instructions are designed to help you find the malware and eliminate it without the need to use anti-spyware or anti-malware software. However, we still recommend you to scan your computer using such software to detect and delete all the malicious elements at once. Here, look for “Unable to Locate Windows License Key” or any other recently installed suspicious programs. Wait until you see Applications folder and look for “Unable to Locate Windows License Key” or any other suspicious programs on it. Now right click on every of such entries and select Move to Trash. When in the new window, check Delete personal settings and select Reset again to complete “Unable to Locate Windows License Key” removal. Once these steps are finished, “Unable to Locate Windows License Key” should be removed from your Microsoft Edge browser. Get rid of “Unable to Locate Windows License Key” virus using instructions suggested by 2-Spyware experts. Here, select “Unable to Locate Windows License Key” and other questionable plugins. Click Remove to delete these entries. Now you will see Reset Firefox to its default state message with Reset Firefox button. Click this button for several times and complete “Unable to Locate Windows License Key” removal. To uninstall extensions related to the described scam program, follow the steps below. Here, select “Unable to Locate Windows License Key” and other malicious plugins and select trash icon to delete these entries. Click Reset to confirm this action and complete “Unable to Locate Windows License Key” removal. Here, select Extensions and look for “Unable to Locate Windows License Key” or other suspicious entries. Click on the Uninstall button to get rid each of them. Now you will see a detailed dialog window filled with reset options. All of those options are usually checked, but you can specify which of them you want to reset. Click the Reset button to complete “Unable to Locate Windows License Key” removal process. ^ Tech support scams. Microsoft. Windows Defender Security Intelligence. ^ Anthony Giorgianni. Beware of Tech Support Scams Online. Consumer Reports. Product Reviews and Ratings. ^ Zondervirus. Zondervirus. Malware Removal Tutorials. This entry was posted on 2017-10-19 at 07:03 and is filed under Malware, Viruses. You can quickly scan the QR code with your mobile device and have “Unable to Locate Windows License Key” virus manual removal instructions right in your pocket. How did you remove “Unable to Locate Windows License Key” virus?